You’ll need an admin account. 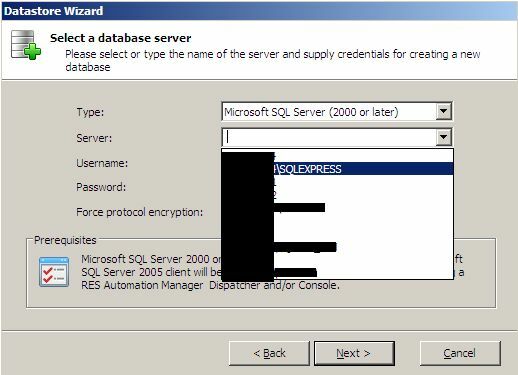 I used Server 2008, my guess is that the procedure won’t differ much when using Server 2008 R2 although I have not tested this. Download ﻿SQLEXPRWT_X64_ENU.exe and start the install. Enable all features and I recommend installing on a separate partition or disk. Let me rephrase: DON’T install on your system disk (C:). 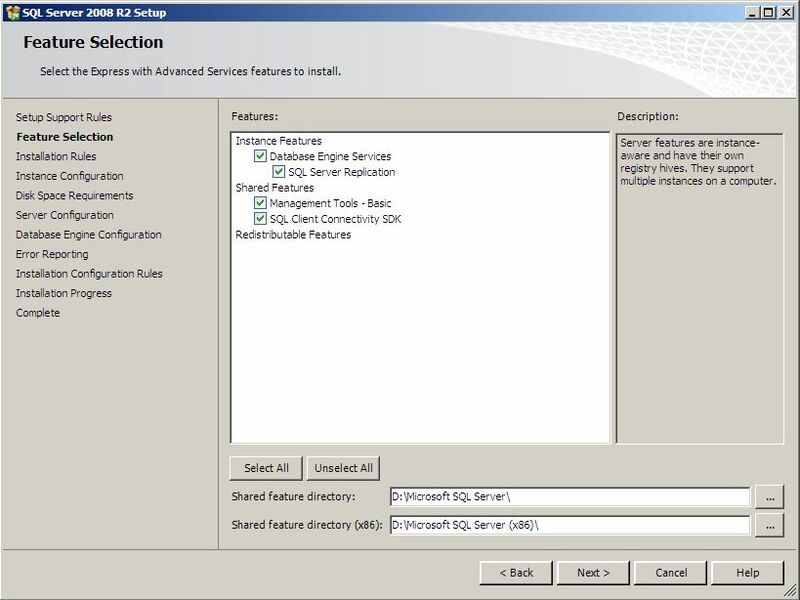 Change the Instance root directory to somewhere else as your system disk. Choose Mixed Mode (mandatory according to the RES install docs). 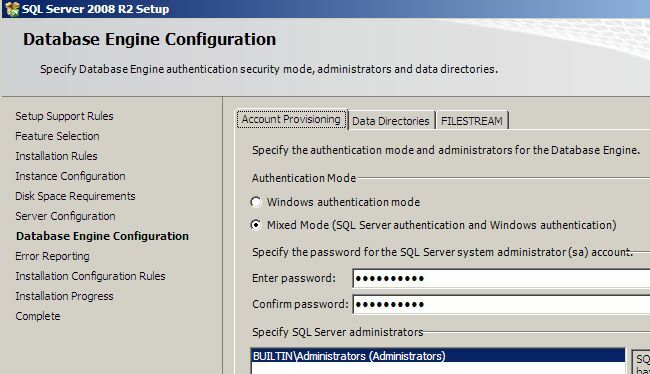 I recommend adding the local machine Administrators group as SQL Server administrators. We now need to create a 32-bit System DSN. Otherwise the (32-bit) RES software will not find the database. 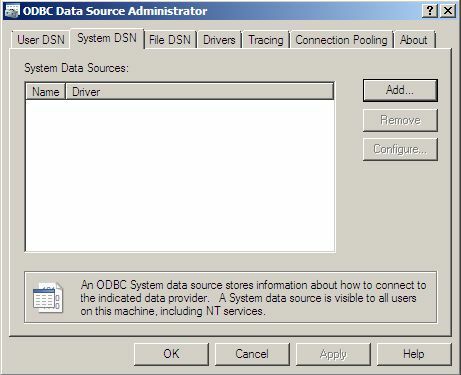 Start the ODBC Data Source Administrator (Administrative Tools -> Data Sources (ODBC)). 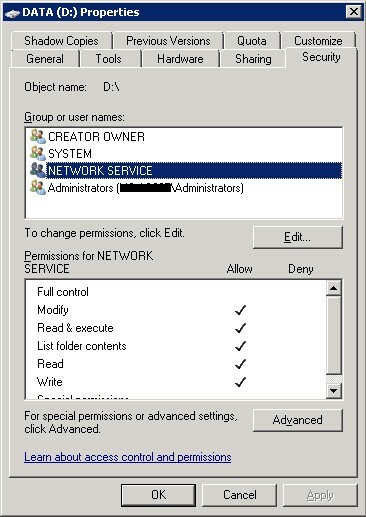 Select the System DSN tab and click Add. 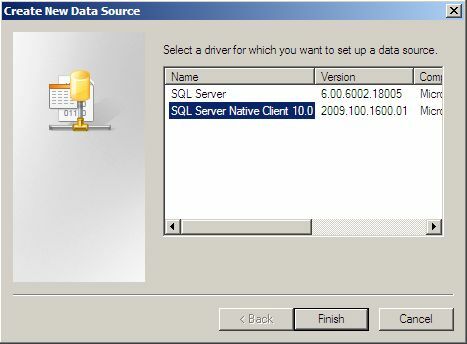 Select the SQL Server Native Client 10.0 and press Finish. Fill in the values as shown in the screenshot below and press Finish. Test your connection with the button that appears in the next screen. Press OK and OK again. Your System DSN is now created. 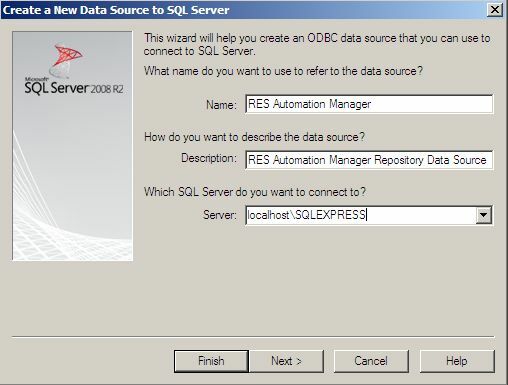 Now open the SQL Server Configuration Manager from the Start Menu and enable Named Pipes and TCP/IP protocols for SQLEXPRESS. 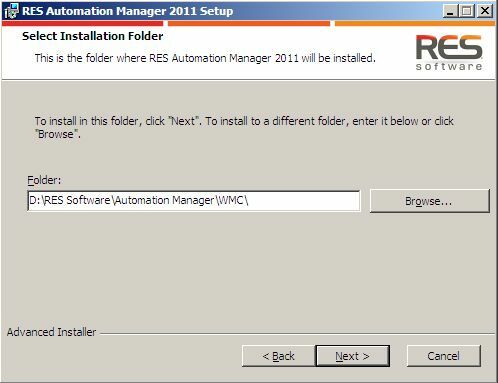 Download ﻿RES-AM-2011.msi and start the install. I recommend not installing on your system disk. Launch the console at the end of the setup. 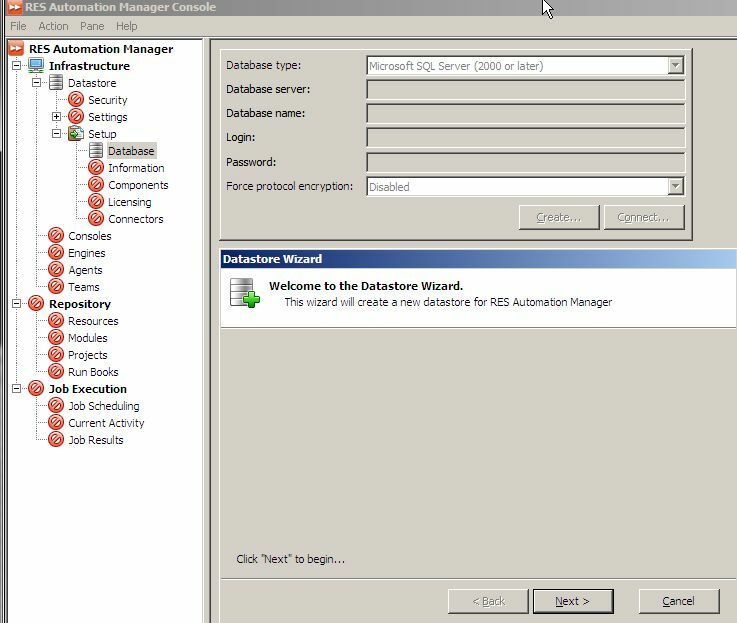 Press the Create button to create the new datastore for RES Automation Manager 2011. 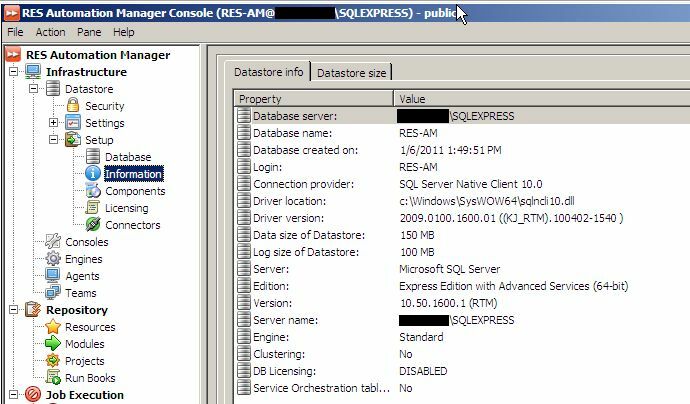 If you have not create the 32-bit System DSN or have not rebooted, you will not see <ServerName>\SQLEXPRESS in the pulldown list. 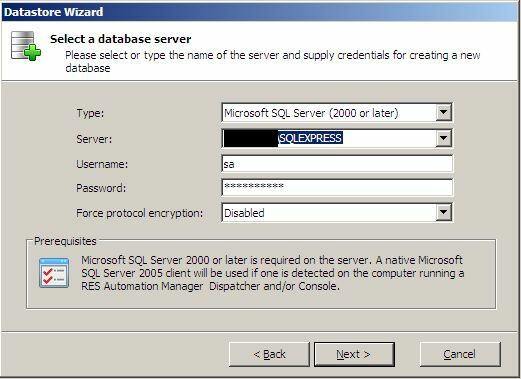 Choose <YourServer>\SQLEXPRESS or fill this in yourself. 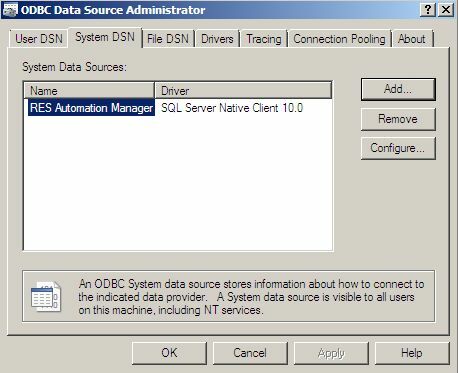 Use the sa account to create the database. 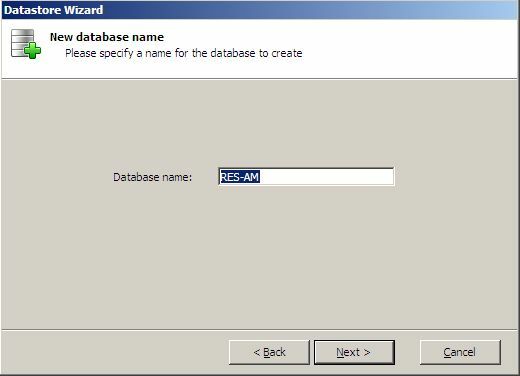 Choose a logical database name. I recommend using the default name. 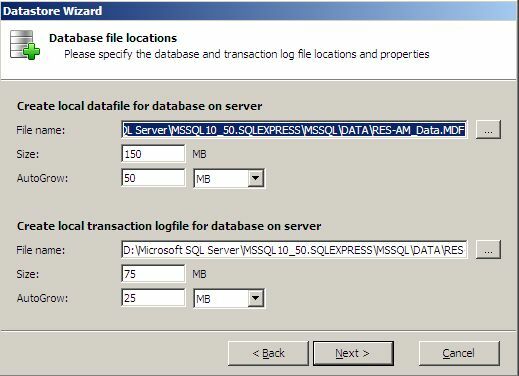 Choose the location of the datafile and the transaction log file as well as the initial sizes and growth sizes. If you don’t know what values to use, the defaults will probably be sufficient for your needs. 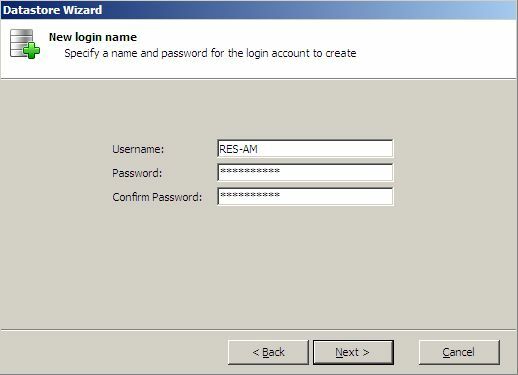 Choose the user and password to be created to login to the database. Click Next and Finish. 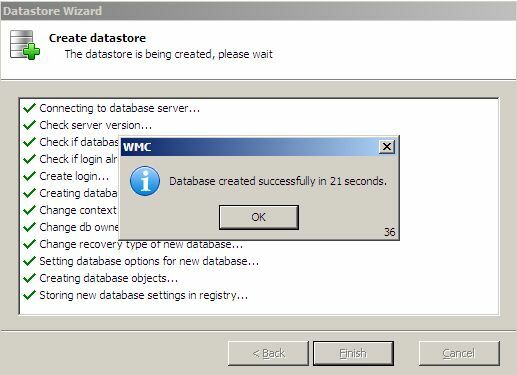 The database will be created. Your done. 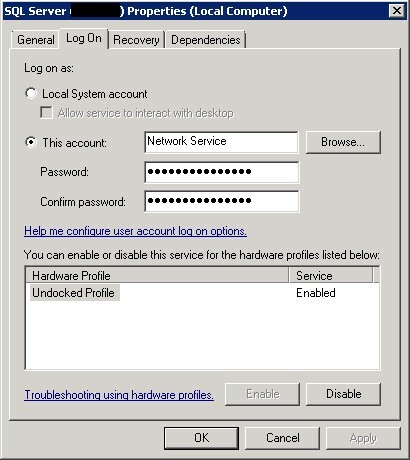 When you start RES AM, you can check and verify the settings on the Information option in the tree. 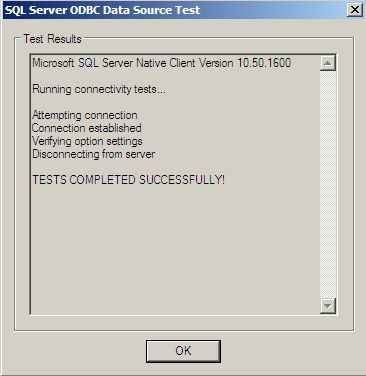 I tried to install the SQL Server 2008 Management Studio for my SQL Server 2008 Express installation and received the error ‘Performance counter registry hive consistency’ with status ‘Failed’. 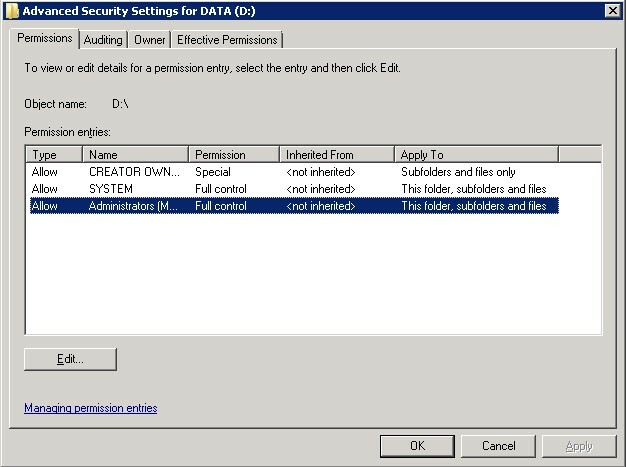 PerfMonCounterNotCorruptedCheck Checks if existing performance counter registry hive is consistent. Failed The performance counter registry hive is corrupted. To continue, you must repair the performance counter registry hive. For more information, see http://support.microsoft.com/kb/300956. So I went to the Microsoft KB article that is supposed to help me out: KB300956. What a nightmare. After I finally removed the values for all FirstCounter, LastCounterer, FirstHelp and LastHelp entries and rebooted my PC… nothing changed. Oh wait, I forgot to run lodctr /R. Hmm, that requires input from the ini files I ‘lodctr-ed’ before the reboot. Hrrmphh. OK, done. Same setup error, grrr. I hope this helps out some people who got this annoying error. This is a generic tip that can help you with many equivalent errors of all kinds of software.